When I first moved to the US from Iran in 2011, I commuted solely by bicycle and transit. It took me a while to learn how to safely and easily transport myself from one place to another as I adjusted to a new life in California. Deciphering transit lines was one of my biggest challenges, and overall, I felt much less safe riding my bike than I had back home because of the daily instances in which cars would drive in the bike lane—that is, if there was even a bike lane at all! This was my first bike commute when I moved to the US five years ago! I biked around 10 miles each day. All of these experiences ultimately inspired me to switch careers from architecture, which I practiced for five years, to transportation planning in order to make positive changes for all commuters. I was accepted to Cal Poly Pomona’s Masters in Transportation Engineering program and was hired at LADOT in the Bikeways Program. Driving is costly and exhausting, so I’ve embraced multimodal transportation options as much as possible to get from Rancho Cucamonga to LADOT and Cal Poly Pomona. On a daily basis, I drive, ride a train, take a bus, and ride a bike or walk. For nearly two years, I’ve commuted to Downtown Los Angeles on Metrolink’s San Bernardino Line every work day. The distance from Rancho Cucamonga to Downtown Los Angeles is almost 42 miles, which costs me around $50 to drive (including gas and parking). Not to mention, the traffic is a headache. For me, driving to work first thing in the morning is very stressful. 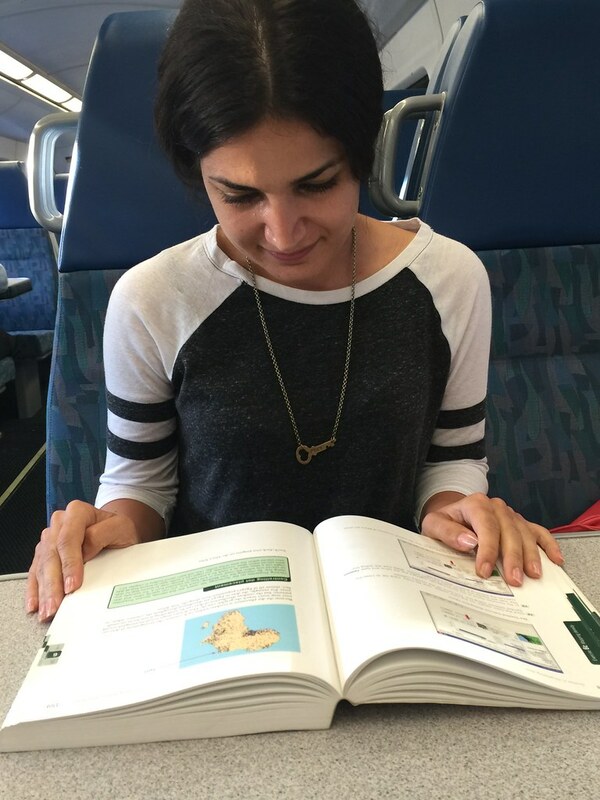 Commuting by train, however, allows me to read magazines, do homework, and relax. My trip on the train from Rancho Cucamonga Station to Union Station takes about 1 hour. 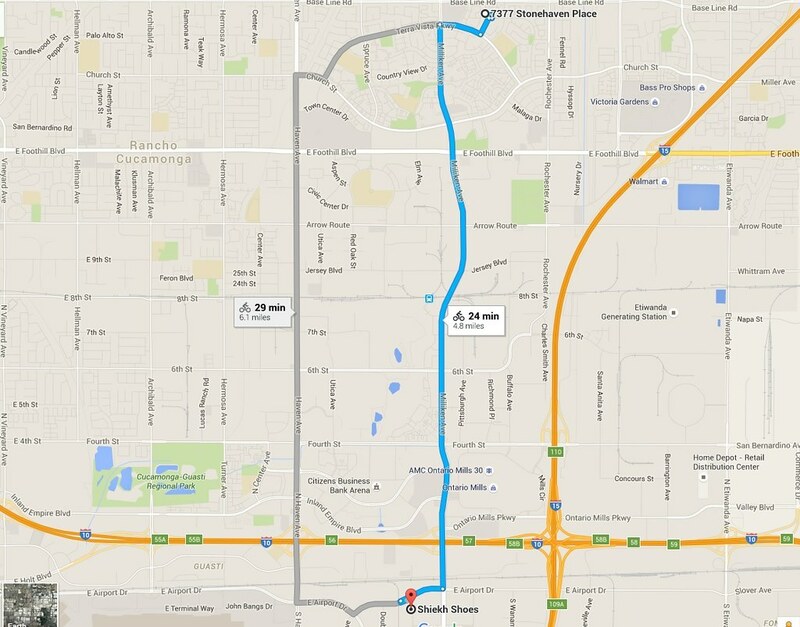 I begin my trip by parking my car at Rancho Cucamonga Station, located about 3 miles away from where I live. The ticket options include regular fare, senior, student, and active military, for which round trip prices range from $10.50 to $21.50. As a graduate student, I purchase the student option, which costs $16. Sometimes, I’ll bring my bike in my car and onto the train so that I can bike from the train station to work in DTLA. 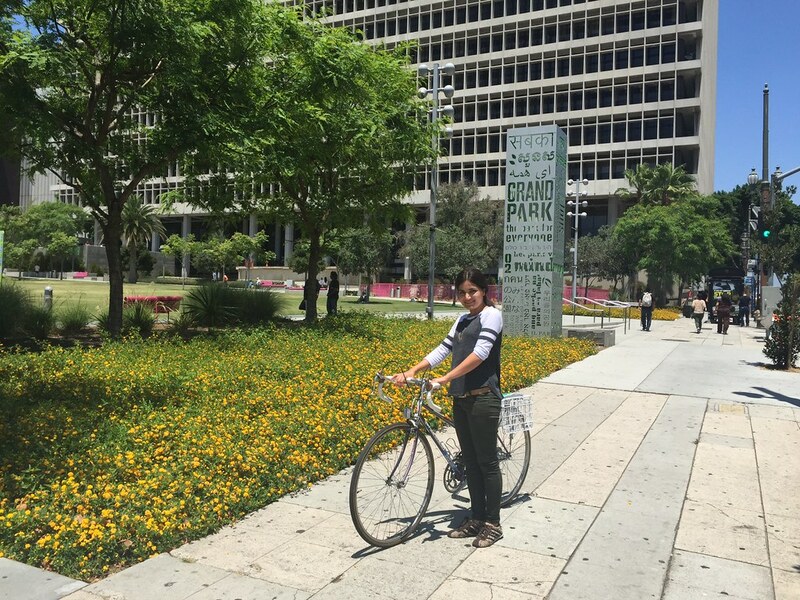 I love to walk or bike past Grand Park on my way to work. The train commute to Union Station on Metrolink takes about 1 hour and is much more comfortable than sitting in a car during peak hour congestion for 90 minutes. Given the overall reduced commute time and effort required, riding the train to work allows me to sleep in a little longer and not worry about staying alert for the duration of a long drive. This is very important, because I often stay up late finishing homework or catching up on chores. Even better, Metrolink’s early morning train offers patrons the option to ride the Express Train, which makes just three stops between my stop and Downtown LA, reducing my total commute by 20 minutes! My commute on Metrolink allots me plenty of time to do homework, rest, or chat up other train-goers. Once I arrive at Union Station, I usually walk to Patsaouras Transit Plaza to catch the Dash D bus heading toward Grand Ave & Washington Blvd for a 5 minute bus ride to LADOT. Or, if I brought my bike, I will ride instead. Now that there is the new protected bike lane on Los Angeles Street, this bike ride is even better. When the wait time for the bus is long, I enjoy walking from Union Station to LADOT. This gives me the chance to pass through historic aspects of the El Pueblo De Los Angeles District, including a stunning outdoor plaza, museums, historic buildings, and a traditional Mexican marketplace for shopping and dining. It is really interesting to see how each building represents an impressive story about the people who once lived here. As I proceed to walk on Main Street, I observe people who are camped out on the sidewalks and can’t help but be amazed at how drastically the urban environment in Los Angeles can change in just a matter of blocks. 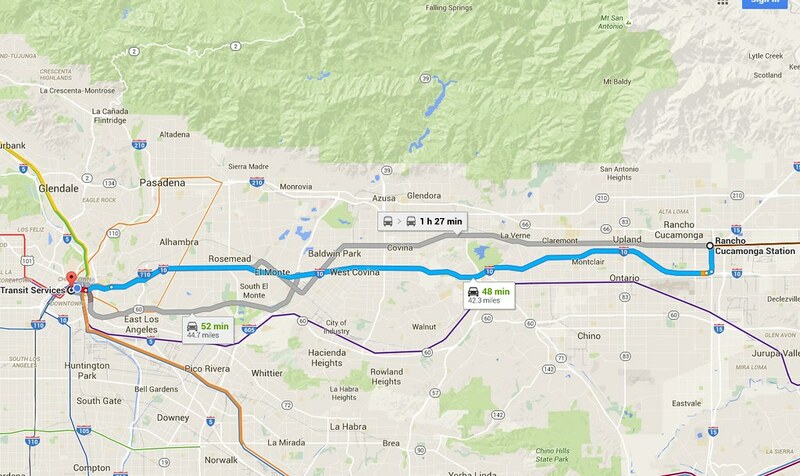 When I commute to Cal Poly Pomona from Rancho Cucamonga, I drive my car or take the train. Many of my peers take bus shuttles and drive to get to school. Students often are looking for ways to save money, so I think it would be great if there were also bikeways available. Everyone’s commute is different. Sometimes it seems impossible for me to stop driving altogether, but every time I ride a bike, walk, or take transit, my mental and physical wellbeing is improved. I feel good about decreasing the number of vehicles on the road to reduce traffic and green house gas emissions. Plus, relying on multiple modes of transportation helps me feel connected to those in my community and gives me opportunities to be physically active.